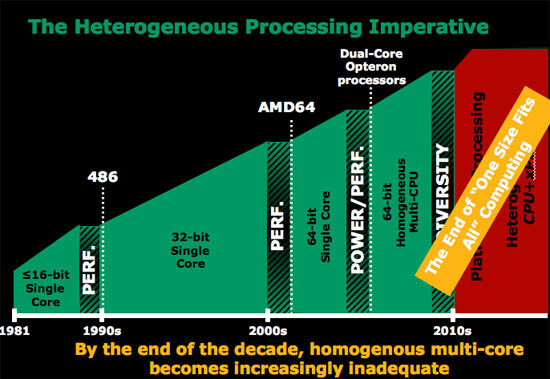 Tight lipped does make AMD look bad right now but could be even worse for them after Intel has their way with the information alone. I'm not talking about technology or performance, I'm talking about marketing and pure buisness politics. Intel beat AMD to market by a huge margin and I think it would be insane for AMD to go ahead and post numbers and specifications while Intel has more than enough time to make whatever AMD is offering look bad before it hits the shelves or comes into contact with a Dell machine. Intel cut the price of all the C2D processors by one slot in the tree - the Q6600 to the former price of the E6700, the E6700 to the former price of the E6600, the E6600 to the former price of the E6400, etc. 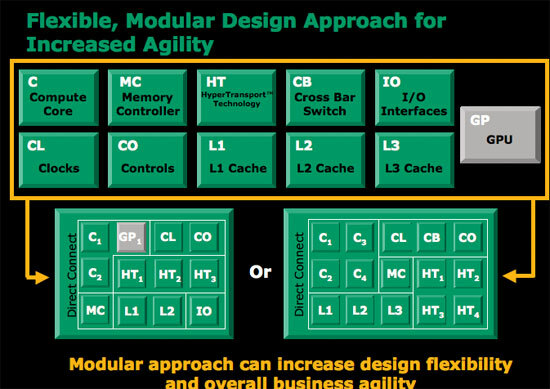 Anandtech covered this a month or so ago after AMD cut prices. After a while this could be a problem for the consumer base, and may ressemble something along the lines of how a lot of Linux users view Microsoft, wit htheir 'Monopoly'. In the end, 'we' lose flexability, and possibly the freedom to choose what software that will actually run on our hardware. This is not to say, I buy into this beleif 100%, but it is a distinct possibility. I wonder as well. Will it be relatively easy to mix and match features as needed? Or will the offerings be laid out that most people end up paying for a feature they don't want for each feature they do? 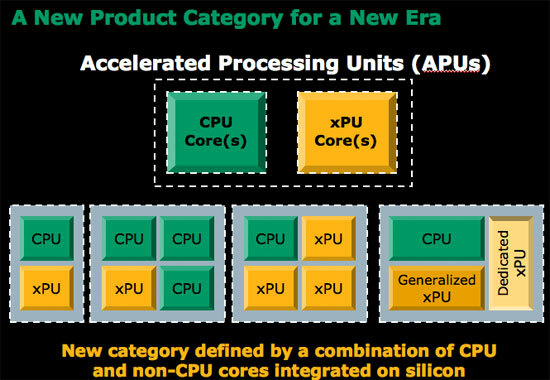 The new attitude Anand displays with AMD is more than enough and likely the whole point of the article. 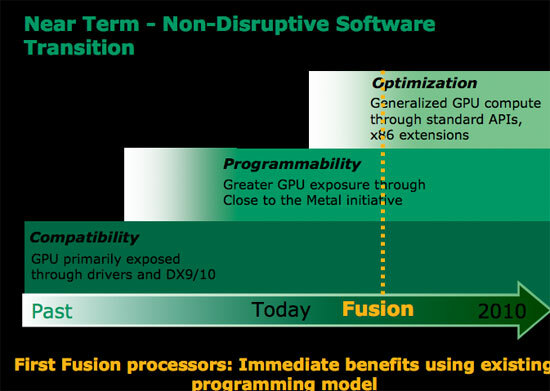 AMD is changing for a more aggressive stance. Something they should of done years ago. There were at least two whole paragraphs. Though I hate to qoute so much content, I guess it's needed. Going into these meetings, in a secluded location away from AMD's campus, we honestly had low expectations. We were quite down on AMD and its ability to compete, and while AMD's situation in the market hasn't changed, by finally talking to the key folks within the company we at least have a better idea of how it plans to compete. 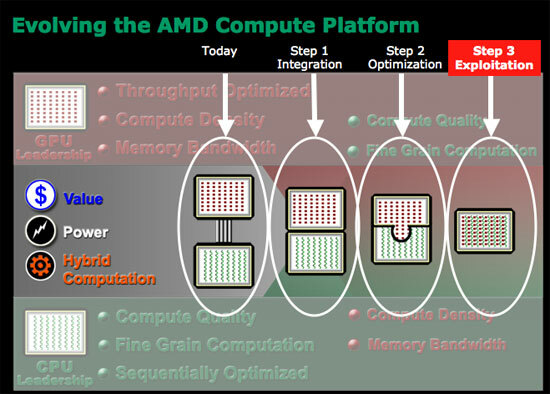 There's also this idea that coming off of a significant technology lead, many within AMD were simply complacent and that contributed to a less hungry company as a whole. We're getting the impression that some major changes are happening within AMD, especially given its abysmal Q1 earnings results (losing $611M in a quarter tends to do that to a company). 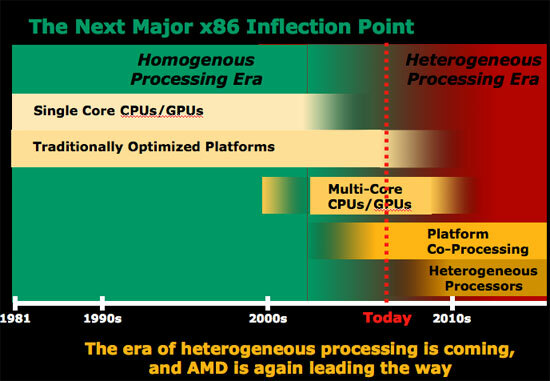 While AMD appeared to be in a state of shock after Intel's Core 2 launch last year, the boat has finally started to turn and the company that we'll see over the next 6 - 12 months should be quite different. What is there that is getting anyone excited to upgrade to a new system? 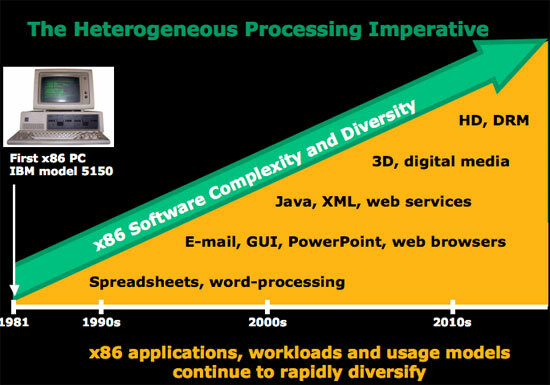 We need faster processors and GPUs? Sure, so we can play better games. That's it? Now we can do HD content. I would be much more excited about that except it is encumbered to the bone by DRM. I just wish we had a competent processor that only needs a heatsink to be cooled. 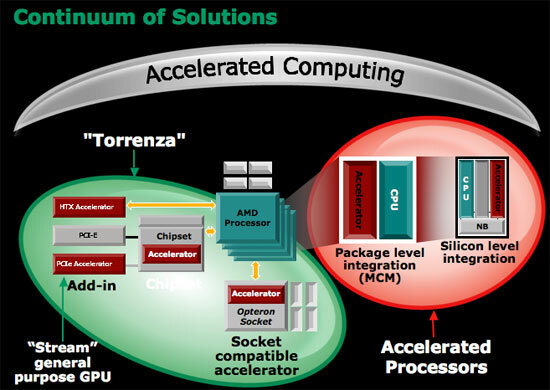 AMD showed off the same 45nm SRAM test vehicle we saw over a year ago in Dresden, which is a bit bothersome. Not sure what you are saying since over a year ago they would have been demoing perhaps 65nm cells, but whatever. And as far as Intel reacting, they are already on overdrive with their product releases, FSB bumps, updating the CPU architecture every 2 years instead of 3, new chipsets every 6 months, etc. I guess when you told people we would have 10ghz Pentium 4's and lost your creditbility, you need to make up for it somehow. To reply to myself, perhaps the Fusion project is the best thing coming. If we can have a standard set of instructions for cpu and gpu, we will no longer need video drivers, and perhaps we can have a set that works very low power. THAT, is what I want. I agree with you about only needing a heat sink, I still use Pentium IIIs in most of my machines for exactly that reason. I also prefer slotted processors to the lame socketed ones, but they cost more and are unnecessary so I guess they aren't going to come back. They are so much easier to work with though.